Xplora Capital has announced the purchase of USD $1 million (AUD $1.35 million) worth of tokens from BLOCKLOAN – a new blockchain peer-to-peer lending marketplace. Blockchain and crypto are triggering a societal and economic shift before our eyes. Financial institutions are failing to address the market needs. It’s time for a new solution to old problems. Consumers of traditional institutions could pay less in lending interest rates and with 2 billion* people having no access to credit, something has to change. BLOCKLOAN’s mission is to solve a fundamental credit access problem, globally. The BLOCKLOAN platform technology connects borrowers directly with lenders, creating genuine efficiency and supporting global financial inclusion. BLOCKLOAN is backed by the technology smarts, speed to market learnings and world pioneers in blockchain, crypto, AI and financial markets of the Lodex.co team, whose office is based in Sydney. The Lodex platform already has over 40 000 members and over $400 million in loans auctioned, within 8-months, in Australia. It’s proven the need for a different way of accessing loans and deposits and has disrupted the financial industry in Australia. It is now time to evolve, enhance and create a blockchain global solution. Xplora Capital specializes in the funding and investment of blockchain projects, with industry experts and analysts providing a suite of diversified investment funds containing digital, cryptocurrency assets and opportunities. Xplora’s latest acquisition of tokens from BLOCKLOAN demonstrates the increasing demand for the investment into the emerging high-growth market of blockchain technologies. 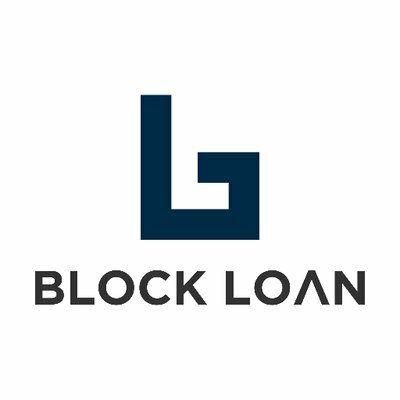 In utilizing cryptocurrency-backed loans on a global peer-to-peer lending marketplace, BLOCKLOAN aims to cut out the unnecessary fees often associated with more traditional forms of lending. The platform utilizes a secure transactional cryptocurrency wallet platform, combined with proprietary risk scoring to enable global, digital peer-to-peer investment and lending. Michael Phillipou, BLOCKLOAN Co-Founder and Co-CEO says, “We are excited to have the first purchase of our token sale completed so quickly. Xplora Capital shows great knowledge of our platform, understands the gravity of the opportunity and believes in our future. We have brought together a world-class team from across the globe in order to build out the future of banking. Already, BLOCKLOAN is making big strides ahead with our tech and creating a solution to credit access, globally”.